Google's "Area 120" incubator project has developed Uptime —an iPhone app for watching YouTube videos collaboratively with other users of the app. Users of the app will see other viewers icons progressing along the video's progress bar. Users can follow other Uptime users to see what they're watching, and share clips from the service from within the app. 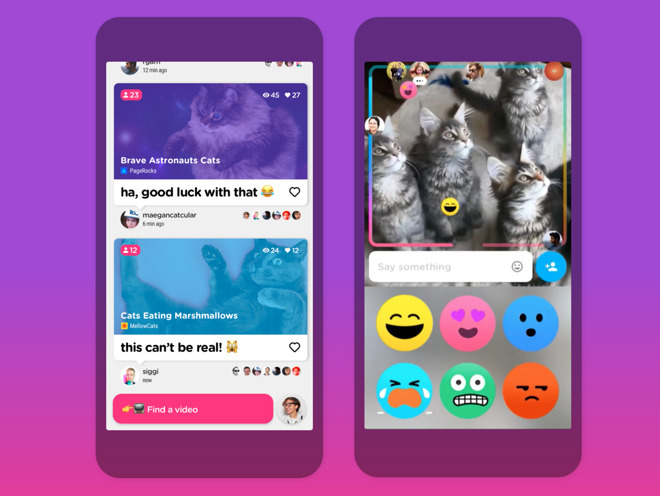 The app also features live commentary by people watching the video, as well as the ability to like videos, and get daily video recommendations from friends and people you follow. At present, the app is iOS-only, with no sign of an Android app. The app itself is currently available on the iOS App Store, and is free, but requires an invite to use. According to TNW, code "PIZZA" can be used to garner an invitation for the service. The Uptime app came out of Google's incubator program, first launched formally in 2004. "We encourage our employees, in addition to their regular projects, to spend 20% of their time working on what they think will most benefit Google," Google founders Larry Page and Sergey Brin wrote in 2004, launching the program. "This empowers them to be more creative and innovative. Many of our significant advances have happened in this manner." The 20% rule turned into the Area 120 incubation program, which is now helmed by long-time Google executives Don Harrison and Bradley Horowitz. Other 20% projects in the past have included Gmail, and Google News.